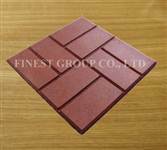 Brickface rubber tile Model No. 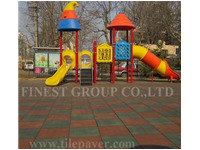 : FST0312 Size: 16"x16", 18"x18", 24’’x24’’ 300*300; 400*400; 500*500 Thickness: 20mm, 25mm Color: Red, Black, Blue, Red, green, grey, could be customized. 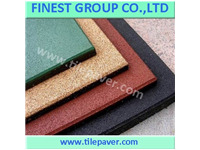 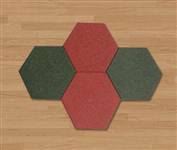 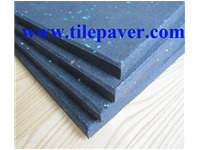 Material: 100% recycled rubber granule and Rubber Crumbs Pac..
Hexagon Tile Model No. 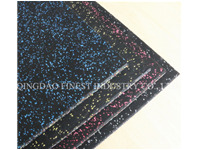 :FST0313 Size: 305*305mm Thickness: 23mm,45mm Color: Red, green, blue, black, grey, could be customized. 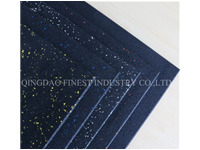 Material: 100% recycled SBR rubber granules or EPDM topping Package: By Pallet and Warped with Plastic Film •Critical Fall Height 1.35M (50mm) •DIY Inst..